New Health Posts Ready to Open! Midwives who will staff and run the health post in Batara Wolof. Later this month our construction team in Keur Soce will be putting the finishing touches on two new health posts that will serve the communities of Batara Wolof and Keur Ngor. This will bring the total to eight health posts built by Andando and our partners in the past few years. In all, this program has dramatically increased healthcare access to over 25,000 people. Finishing the exterior of the Batara Wolof health post. Previously, people in these communities would often have to travel long distances, by foot or donkey cart, to seek care for even routine medical needs. Even worse, many women would have to make this trek while in labor to safely give birth at a medical facility. This led to alarming rate of births taking place in unsafe and unsanitary conditions, and common medical needs turning into emergency cases. These simple, but effective, facilities are staffed by trained nurses and midwives in order to deliver care where people need it most. Outside the health post in Keur Ngor with the village Chief (left), Boubou, Andando Country Director (center) and Camara, Keur Soce Program Manager (right). At each health post, there is an office and consultation room; a labor and delivery room with electricity and running water; and a recovery/monitoring room for new moms and their babies, each with their own bathrooms. Andando also provides each post with a basic stock of medical equipment and supplies to get started, which the state then replenishes moving forward. 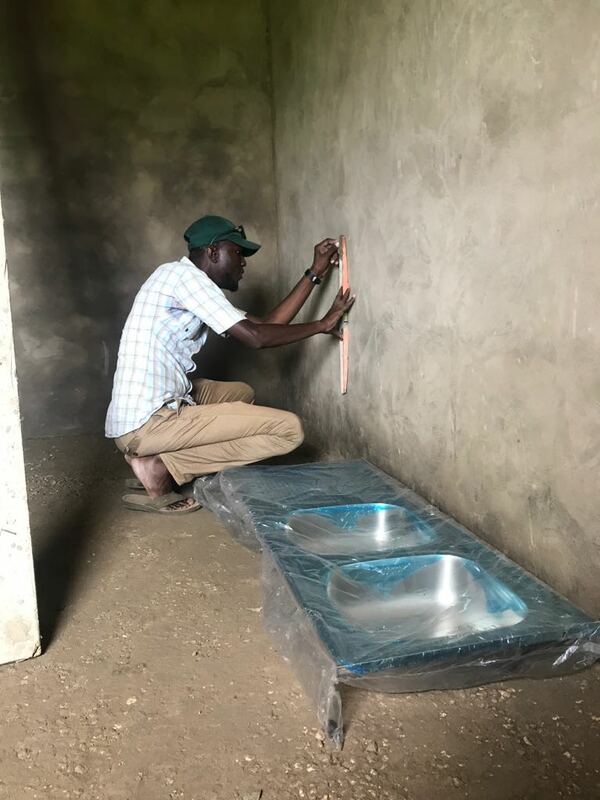 Installing plumbing and sinks at Keur Ngor health post. These facilities have led to a dramatic increase in safe births, the hosting of vaccination clinics, child-wellness visits, and family planning consultations. Medical staff are also able to give routine first-aid when needed, as well as referrals to other larger or regional health centers. Interior of the Batara Wolof health post as of September 13, 2018. In just the past year and a half, we have seen over 800 births, 7,000 weight/malnutrition checks and education, and 8,000 vaccinations given. For a relatively small investment we can deliver amazing results to the people of the Keur Soce area and keep them on a productive path moving forward. This vital program has an immediate impact on these populations and we are proud to see its growth in helping more and more people achieve a healthy life.